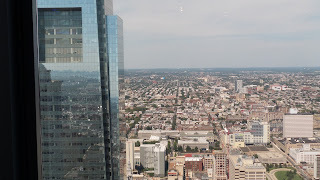 Trails and Travelogues: One Liberty Observation Deck - A Must See! 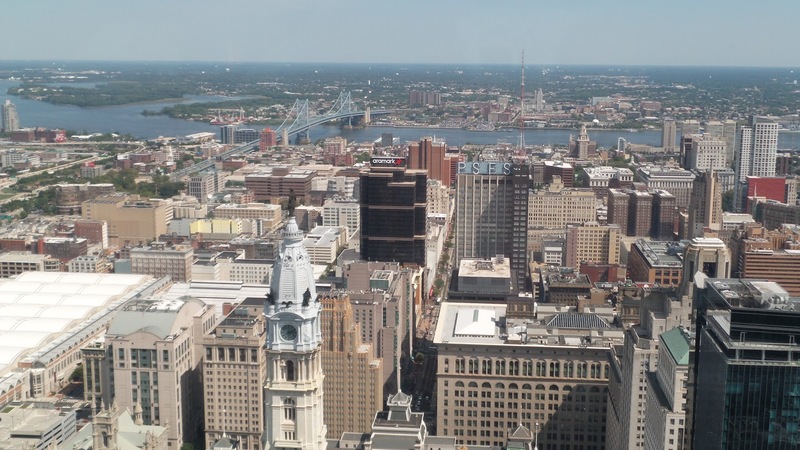 See Philly from the top as you travel 883 feet above street level for an extraordinary 360 degree view of the City of Brotherly Love! Once you're on top, there is an interactive environment that serves as your guide as you view from each direction which also provides a comprehensive educational experience. The deck is located on the 57th floor of One Liberty Place in downtown Philadelphia. 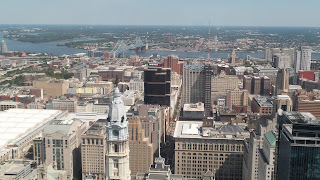 This is the best place to discover the stunning view of the Philadelphia skyline. 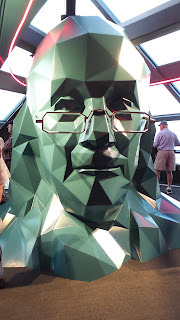 They offer guided tour as well if you prefer to get a more detailed information or if you have queries in mind you might want to be answered.